Learn self defense moves through a combination of mixed martial arts. Our Adult Martial Arts program is proven to increase the confidence, awareness, responsiveness, and physical fitness of our students! Our professional instructors will teach you a variety of self defense techniques that prepare you for the most treacherous of situations by instructing using "real life" situations. You will walk away from our Adult Martial Arts classes more feeling more confident and being more prepared each session. This is a 'soft' style of self defense focusing on redirection of aggression and immobilization of an attacker via joint locks. With a firm belief in comprehensive self defense, we also teach proper technique in kicking, punching, throwing, grappling and weapons. Training in Hapkido will instill in the practitioner a level of self confidence and furnish the capability to defend oneself in real life combat or self-defense situations. Since Hapkido emphasizes redirection rather than strength, it's ideal for men, women and children. 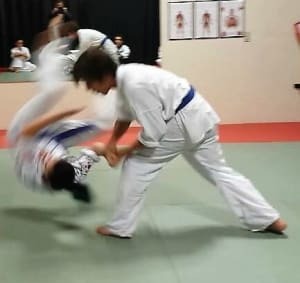 The Korean martial art "Hapkido" literally translates to "The Way of Coordinated Power" and consists of hundreds of techniques that flow easily from one technique to another to provide the practitioner an infinite number of ways to defend oneself. Understanding the nature of Hapkido requires the knowledge of actual combat or self-defense situations. First, in real situations there are no rules. Second, there is no way to predict the situation an attacker will create. Third, the only way to defend against any given situation must be by reflex appropriate to a given attack. A unique aspect of Hapkido is in its emphasis of redirection of aggression. 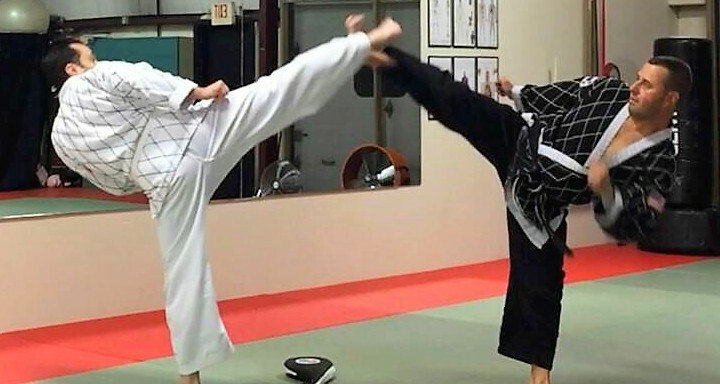 Because strength is not a pre-requisite it is ideally suited for men, women and children whether tall, short, fast or slow, everyone can benefit from Hapkido. Adult classes are held Monday, Tuesday, and Thursday evenings. To sign up for our Adult Martial Arts Classes Today! All you have to do is fill out the short form on the side of this page. We will get back to you with all the information you need to get started.